THE MARTIAN OPENS THIS THURSDAY IN MALAYSIA WHICH IS THE 1st OF OCTOBER. 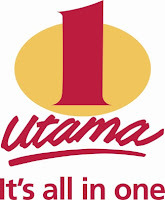 TO FIND OUT WHEN IT OPENS NEAR YOU CLICK HERE. You're probably wondering what I mean by that up there, right? Well, what I mean is that it's the beginning of movies that take place in space that have the science part of the film as accurate as they can possibly get it (unless it interferes too much with the storytelling that is). Of course prior to Gravity (2013) there has been movies that tried to do that as well like Ron Howard's Apollo 13 ( 1995) but the key word here is tried. Movies that actually got some of the science in it right, and this comes from the people at NASA themselves, include Contact (1997) and Jurassic Park (1993) don't believe me, check out the list that the folks at Moviefone,com came up with the help of NASA scientist here (the list also includes movies that had the worst science). Ron Howard's movie isn't on the list neither are a lot of the other films you'd think should or would be there, those movies are realistic but they're not scientifically accurate, some aspects might be but they've probably taken a backseat somewhat to tell a good story. Gravity is the first movie that I can recall where the scientific community were asked to give their input and whose input were used to promote the film before, during and after. Gravity had Neil deGrasse Tyson talking about it and even tweeting about it after he watched it. Interstellar (2014) not only had Neil deGrasse Tyson talking about it but also Dr. Michio Kaku both of whom if you're a science geek would know about. These men are carrying the torch once carried by Carl Sagan who tried to make science accessible to everyone and tried to share their passion for it with the world. They along with Bill Nye are currently the most recognizable proponents of science, you could say they're the brand ambassadors for science. But I digress. What I'm trying to say is that up till Gravity the science and the scientific community usually took a backseat to artistic freedom and the art of good storytelling, then Gravity showed up and everyone's talking about how accurate it might be and asking the scientific community and even astronauts how real it is when compared to their experience or to what science already knows. And that's a good thing. On to the movie at hand. According to what I've just read on the Wikipedia page for it not only is The Martian scientifically accurate to a degree it would seem it's also one of the fastest movies of the genre to go from book to script to film. Gravity was apparently in development for years under director Alfonso Cuarón until principal photography began in 2011 and finally reaching cinemas at the end of 2013. Interstellar began development in mid 2006 with Steven Spielberg set to direct up til January of 2013 when Christopher Nolan name was attached to the project but he didn't officially sign on til March when it was announced not only would he direct but would be working on the screenplay as well. Principal photography began in August and ended in December of 2013 before finally reaching cinemas a year later. By comparison The Martian which is based on the book by Andy Weir with the same title published in 2011 was optioned by 20th Century Fox in March 2013, had Drew Goddard on board as writer and director by May but Goddard left when he had the chance to direct the Sinister Six movie adaptation. By May the next year Ridley Scott was in negotiations to direct with Matt Damon very interested in working with him and with Ridley Scott on board the project was fasttracked. 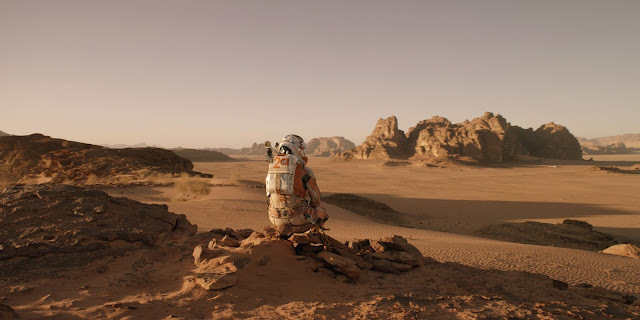 Principal photography started in November of the same year with 20 sets being constructed, 15 space suits made, potatoes grown in several stages and filming taking place on soundstages in Hungary and locations in Wadi Rum, Jordan. At the same time Andy Weir contacted Nasa's Director of the Planetary Science Division, James L. Green to help with the depiction of science and technology in the film. Along with Mr Green were various other experts from NASA serving as advisers on the film. 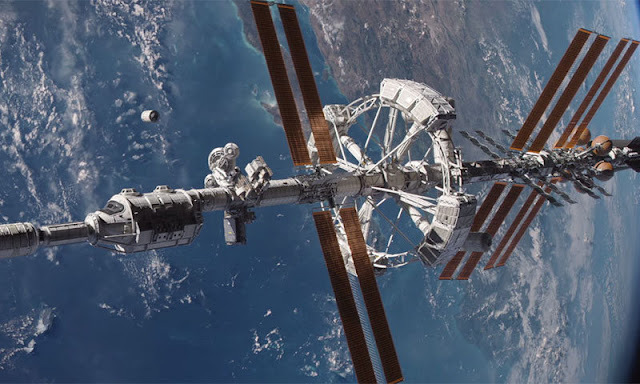 NASA saw the potential of the film in promoting space exploration to the general public and pretty much gave them all the help they could in making the movie. So that's a couple of years for The Martian compared to the several years if not decade long development limbo that Gravity and Interstellar went through before finally making it into the cinemas. On to the movie and this time if you didn't read the stuff way up there in the beginning or didn't see the teasers, trailers and related viral videos and other stuff already out there about this film then I won't help you. This time I really won't do what I usually do which is tell you everything I remember but instead go straight to whatever thoughts and opinions I have of this film. Not to say that there won't be spoilers of course. 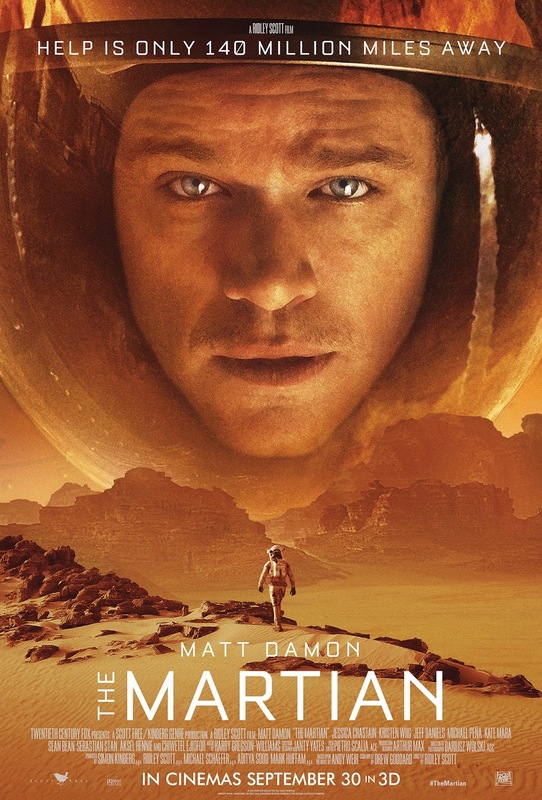 Anyway, let's begin with the story, there's not much time spent in between having Mark Watney (Matt Damon) hang out with his fellow crew members doing what astronauts do for work on another planet to when he's eventually left on Mars all by his lonesome. Which sort of reminds me of Castaway (2002) which didn't wait all that long before Tom Hanks was on an island alone and talking to a ball. Mark Watney doesn't have a ball. Once he wakes up from being whacked by a flying satellite dish Watney's trials and tribulations as well as trying to keep his sanity intact begins in earnest while his crew members head back to earth believing that he's dead. The story concentrates mainly of course on Watney and his adventures in trying to keep his food stores alive and then of course turning his specialty which is botany into good use. But in between watching him try and succeed and then have Mars throw another problem in his direction is NASA's attempt at handling the situation when they find out that Watney isn't dead. Having told the world that Watney is dead and having just spoken at his funeral NASA Director Teddy Sanders (Jeff Daniels) has a PR problem but that isn't his only problem, unlike having a man stranded on an island which is also near impossible to find trying to save a man on another planet cost billions, takes months to prepare for and months to get there. And he is reluctant to inform Watney's crewmembers worrying that they may do something rash and risk not only their own lives in saving Watney but cost NASA billions and create a PR nightmare that might jeopardize NASA's future projects. But Teddy's fears aren't shared by his PR advisor Annie Montrose (Kristen Wiig), Mitch Henderson (Sean Bean) the man in charge of the crew and Vincent Kapoor (Chiwetel Ejiofor) the person in charge of future missions. Annie wants to handle things differently with the media. Mitch wants to tell the other crew about Watney and have them be involved in the decisions involving Watney. Vincent wants to find a way to save Watney. 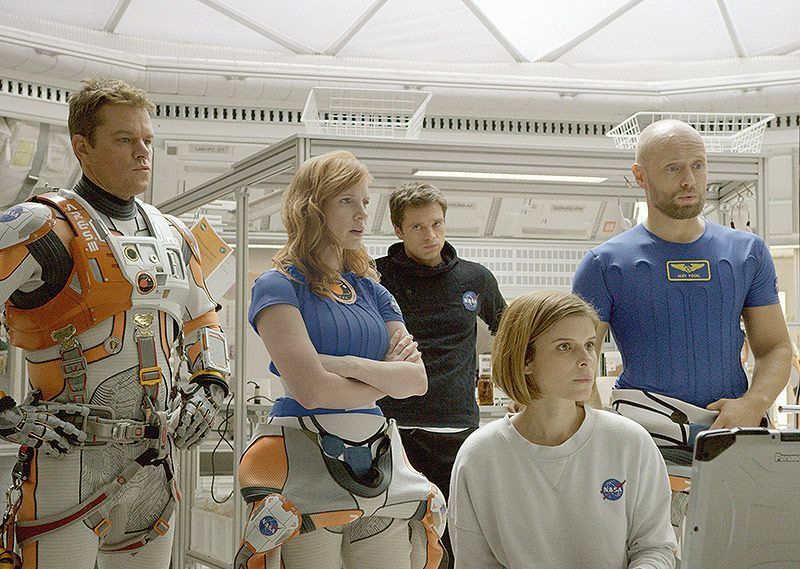 When the crew are finally informed of Watney's situation they are of course clearly disappointed with NASA's decision. A couple of months go by and their plan to save Watney is launched but explodes before it even gets into space. Meanwhile somewhere at the Jet Propulsion Laboratory a young genius by the name of Rich Purnell (Donald Glover) is working on other possible solutions but when he has one and presents it to Teddy and the others his plan gets shot down by Teddy. Somehow though the plan finds its way to the crew and when Commander Melissa Lewis (Jessica Chastain) talks it over with her crew Rick Martinez (Michael Peña), Beth Johanssen (Kate Mara), Chris Beck (Sebastian Stan) and Alex Vogel (Aksel Hennie) they all unanimously agree to proceed with the plan to save Watney. On to the performances, Damon does a pretty amazing job at juggling all the possible emotions and thoughts anyone in that position could possibly have. Watching him go through the motions and then slowly gathering himself together and getting down to what's necessary to keep himself alive sort of game me the impression that if a situation like that were to happen that's what an actual NASA astronaut/scientist would do. I mean after all that's what scientist are supposed to be like, problem solvers who aren't given to emotional outbursts for long or to giving up so easily. Or that's what I'd like to believe. Of course the big difference between Tom Hank's character and Matt Damon's is that Watney gets to sort of have some semblance of interaction when he periodically addresses the camera or makes his video journals whereas Noland only has a ball to talk to. Watney can at least tell himself that somehow someone could come back and find his videos, Noland can't. The other big difference is training, Watney has been trained for the likelihood of something like that happening albeit not to such extremes and Noland doesn't. Watching Damon going through all the effort of keeping himself alive and sane and keeping his hope of being rescued alive was a remarkable performance. And seeing him physically change throughout his ordeal was another. Just like Tom Hanks did for Castaway, Matt Damon went through incredible physical changes beginning with a fit astronaut and eventually losing all the weight and muscle mass due to a prolonged calorie restricted diet just to survive long enough for the rescue to happen. 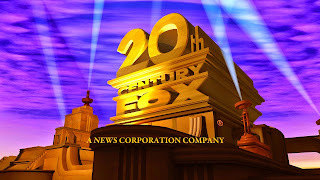 The rest of the cast did a pretty good job as well but noteworthy among them for me was Jeff Daniels who had the unenviable position of having to keep doing his job of administrating NASA and keeping the government and the number crunchers happy while juggling the media and and the situation. Let's talk about the visuals. Mars looks amazing, even if it actually doesn't look like that. Read up on Mars and you'll find out that it isn't actually that rusty red colour. The sets for the habitat and also the Hermes which is the ship the crew travel in looks very cool. As does the Mars Rover which is Watney's means of getting to his last destination before his crew comes to get him. What The Martian does well that Gravity and Interstellar doesn't is balancing the drama and the action with humour and science. With Gravity it was visually amazing but the story was pure drama with a little action thrown in, it was a very good story but much too heavy for the average viewer. With Interstellar the balance was almost perfect but the science went a little too deep and into the realm of quantum theory which confused some. With The Martian there's a nice balance of everything. Just when things seem to get dark or depressing Watney does something or says something that lightens it. Just when things get too sciency things go wrong or Watney simplifies it so it doesn't sound all that complicated. What The Martian does that Gravity and definitely Interstellar doesn't do is make the story and the science easily digestible for the mass audience. It's sort of what Bill Nye does for kids who are bewildered and confused by science. 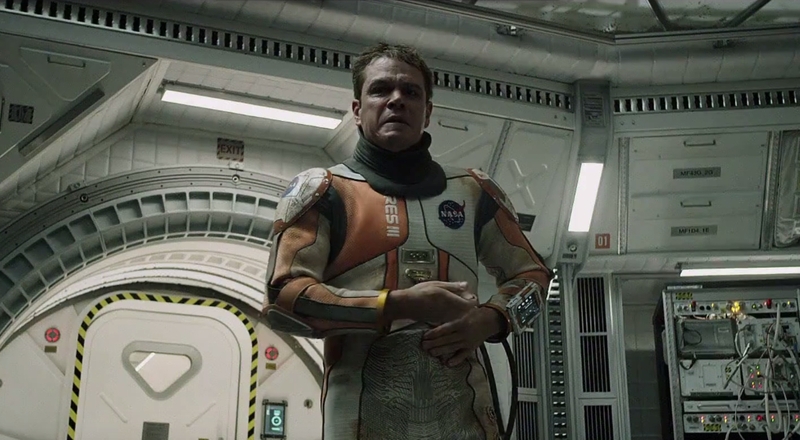 The Martian is nothing short of an amazing story. How the filmmakers have combined all the elements of good storytelling with science and made it easy for us to understand while still being totally entertaining and not confusing or even too high brow is nothing short of incredible. This movie is well worth watching. 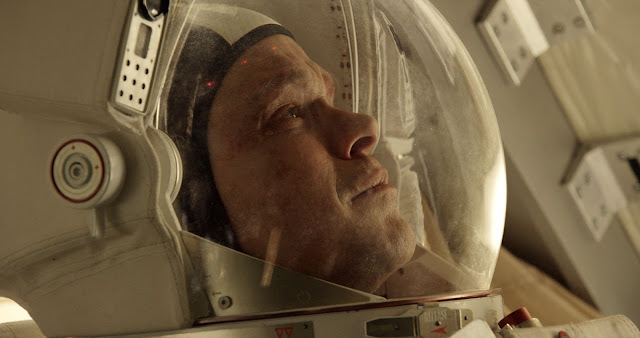 Matt Damon delivers an amazing performance and you'll walk away appreciating the science involved in reaching for the stars and going for it. The Martian gets a solid 4.3 out of 5 from me. I was looking forward to this movie and I wasn't disappointed. If you get a chance to watch it in IMAX do it. 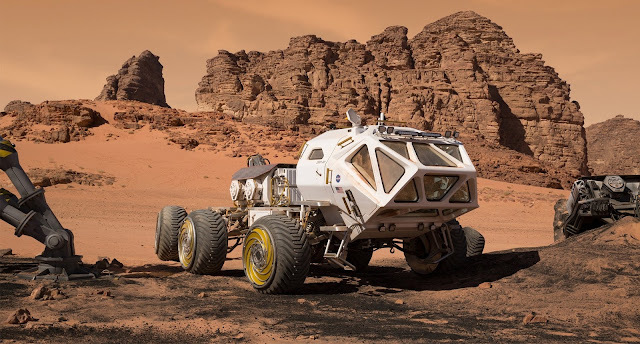 Mars will look amazing on IMAX. Here's the trailer for you to enjoy before watching it in the cinemas. In writing this review I came across a couple of interesting articles. The first one is a review of the film by an actual astronaut on Quartz.com which you can check out here. 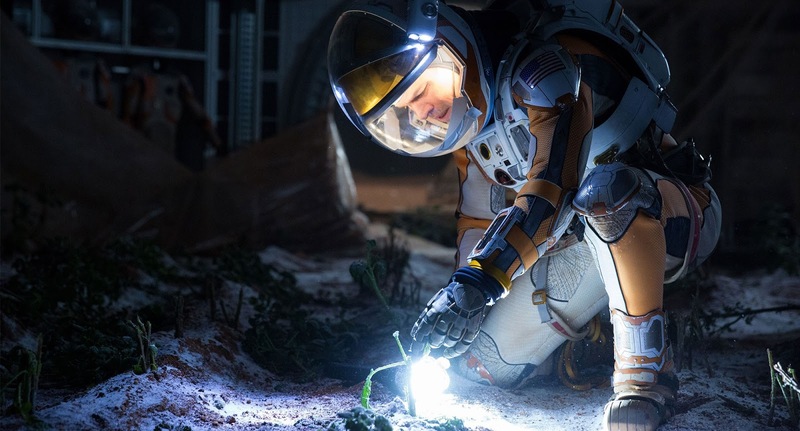 Next are a couple of articles from IFLScience.com, The Martian: A Perfect Balance Of Scientific Accuracy And Gripping Fiction and How Accurate Is The Martian? 9 Things The Movie Got Right And Wrong. All three are fascinating reads if you're interested in the science behind the movie and what a real astronaut thought about the film. A VERY BIG THANK YOU TO CHURP CHURP AND 20th CENTURY FOX MALAYSIA FOR THE #CHURPREMIERE PASSES TO THE MARTIAN!! ALSO THANK YOU TO GSC CINEMAS @ 1 UTAMA FOR HOSTING US! !